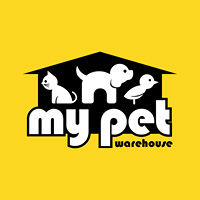 Welcome to My Pet Warehouse, where we know what it means to own a pet. They provide us with companionship and unconditional love, which in turn reduces our stress, encourages exercise and improves our mental wellbeing. Therefore it is only natural that we want to give our pets the best food, products, and accessories, to show how much we love them. To help show your love, you want a pet store that gives you everything your pet needs, all in one place. In our online store, you'll have over 8,000 pet product lines to choose from, including essential items such as pet food and beds, or when they deserve a little reward - a range of tasty treats, toys and much more.